His Fullness @ West Bromwich processes your personal information to meet our legal, statutory and contractual obligations and to provide you with our services. We will never collect any unnecessary personal data from you and do not process your information in any way, other than as specified in this notice. We also collect information (including personal information) when you contact us through our website, filled out forms (print and online), all of which may or may not be submitted via the website, via social media links, from partner agencies we work with and directly from you through other interactions such as events, volunteering, community projects and initiatives, networking, your supplying services to us etc. We collect information in the below ways: - Online form, website orders, employment CV's, information by telephone, paper forms, etc. · We collect your personal data in the performance of a contract or to provide a service and to ensure that orders are completed and can be sent out to your preferred address. · We will occasionally send you marketing information where we have assessed that it is beneficial to you as a member and in our interests. Such information will be non-intrusive and is processed on the grounds of legitimate interests. · We collect and process your personal data with your consent when you become a member of the organisation. We also collect for other purposes as disclosed to you at the point of collection with your consent. The right to be informed — you have the right to be told about the collection and use of the personal data you provide. Right of access — you have the right to know whether we are processing your personal data, and to a copy of that data. Right to rectification — you have the right to have any incorrect personal data corrected or completed if it is incomplete. Right to erasure — this right, often referred to as the right to be forgotten, allows you to ask us to erase personal data where there is no valid reason for us to keep it. Right to restrict processing — you have the right to ask us to restrict processing of your data. Right to data portability — you have the right to move, copy or transfer your personal data from one IT environment to another. and (iii) for purposes of scientific/historical research and statistics. Rights relating to automated decision making including profiling — you have rights in respect of automated decision making, including profiling. We do not share or disclose any of your personal information without your consent, other than for the purposes specified in this notice or where there is a legal requirement. From time to time His Fullness @ West Bromwich uses third-parties to provide the below services and business functions; however, all processors acting on our behalf only process your data in accordance with instructions from us and comply fully with this privacy notice, the data protection laws and any other appropriate confidentiality and security measures. As noted in the ‘How We Use Your Personal Data’ section of this notice, we may process your personal information under the legitimate interests’ lawful basis. Where this is the case, we have carried out a thorough Legitimate Interests’ Assessment (LIA) to ensure that we have weighed your interests and any risk posed to you against our own interests, ensuring that they are proportionate and appropriate. His Fullness @ West Bromwich assists its members, volunteers and supporters informed of its charitable and religious activities. There is a genuine basis for processing this information. We use the legitimate interests’ lawful basis for processing and have identified that our interests are membership services. Providing your data to us will enable us to provide you with information that will be beneficial to you. Without your consent, we cannot provide you with such information. His Fullness @ West Bromwich only ever retains personal information for as long as is necessary and we have strict review and retention policies in place to meet these obligations. Full contact and activity records are maintained whilst your membership is active. After your membership has ceased, your record is flagged as inactive and your contact details are omitted from routine His Fullness @ West Bromwich communications. We have a retention policy that can be made available upon request. Where you have consented to us using your details for direct marketing, we will keep such data until you notify us otherwise and/or withdraw your consent. His Fullness @ West Bromwich sometimes needs to process sensitive personal information (known as special category data) about you, such as your religious beliefs. Also, where children are concerned, information about allergies are captured. We periodically offer health checks. Where we collect such information, we will only request and process the minimum necessary for the specified purpose and identify a compliant lawful basis for doing so. We will ensure that adequate measures are put in place to protect your data. Where we rely on your consent for processing special category data, we will obtain your explicit consent. You can modify or withdraw consent at any time, which we will act on immediately, unless there is a legitimate or legal reason for not doing so. His Fullness @ West Bromwich only processes your personal information in accordance with this privacy notice and with the relevant data protection laws. However, if you wish to raise a complaint regarding the processing of your personal data or are dissatisfied with how we have handled your information, please contact us at contact@rccghisfullness.org.uk. 1. Analytics cookies such as SC_ANALYTICS_GLOBAL_COOKIE, SC_ANALYTICS_SESSION_COOKIE, __utma, __utmb, __utmc, __utmz These allow us to track a set of data to help improve the website. These cookies help tell His Fullness @ West Bromwich how many people have been to the site before, what time people visited the site and what pages were looked at. No personal information is stored. Some are deleted when you leave the site, but others may last as long as  years. 2. Embedded functionality such as ShareThis (__unam, __stid, __uset), Google Maps (NID, PREF, SID) YouTube (VISITOR_INFO1_LIVE, use_hitbox) We use a small number of freely available tools to improve our website.  His Fullness @ West Bromwich does not sell, rent or pass on any information about you to other organisations. However, we may share your data with partners or affiliates of His Fullness @ West Bromwich subject to this policy including those who assist us to perform our services. We may also need to pass on information when required by law or by a regulatory body (for example, for a Gift Aid audit by the Inland Revenue or if asked for details by a law enforcement agency). We may provide third parties with overall information about visitors and users to our site, but this information, other than as explained above, is both aggregate and anonymous. Occasionally, we employ agents to carry out tasks on our behalf such as processing donations but they are bound by contract to protect your privacy just as we would ourselves. His Fullness @ West Bromwich aims to keep the data we hold about you up to date. If you no longer wish to receive information from us, please let us know. We maintain a high level of physical and electronic security in relation to the collection, storage and disclosure of your information. We take reasonable steps to ensure that any information we hold about you is protected. Our intention is to use Secure Socket Layer (SSL) software, which encrypts information given over the internet to protect all personal data as soon as it is possible. While we make every reasonable effort to ensure that information sent to us is done securely, we cannot warrant the security of information transmitted to us through the internet. When you transmit information to us via the internet, you do so at your own risk. You have the right to request details of the information we hold about you. To exercise that right, you should contact the Legal and Compliance dept. at the address given above or by email at [contact@rccghisfullness.org.uk]. We will respond within 30 days of receiving your letter or as otherwise required by law.